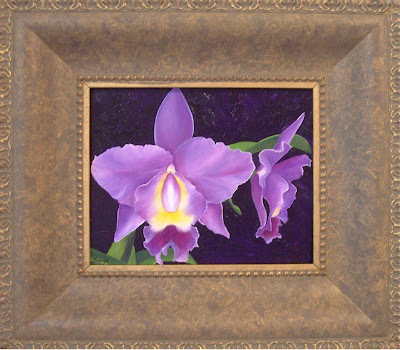 Barbara Rudolph Fine Art: FLORAL SERIES - Purple Orchid - "Floralia"
There is nothing more beautiful than an orchid. This is an oil painting on canvas that I recently sold, but I really liked it so I decided to have some "giclee" prints made of it. They are available in 8"x 10" and can be sold either framed or unframed. You can contact me at: br1fineart@cox.net for more information. Commissions in this style are welcome.